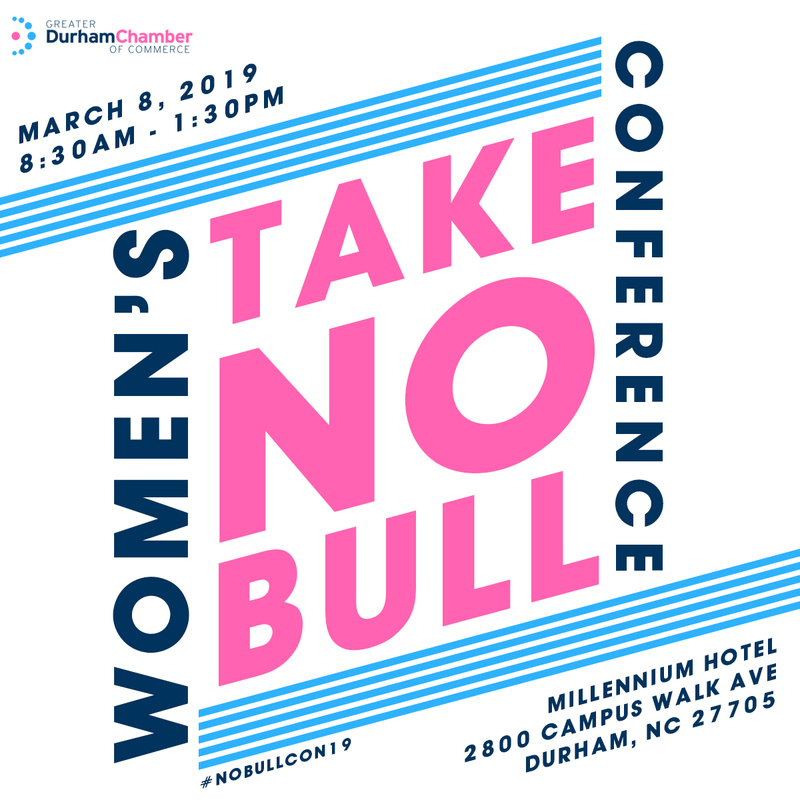 In honor of International Women's Day, the Greater Durham Chamber of Commerce will host the Third Annual Take No Bull Women's Conference. #NoBullCon19 is the premiere women's conference in Durham attracting women from across the Triangle. The event features panel discussions, activations and exhibitors, networking opportunities, lunch, and a key note address to inspire women to take action in every area of their lives. We're back for a third year with a new venue and new content, but we're keeping the same energy - and that's no bull! Afterwards, join us for music, drinks, food, and fun for the after party at WeWork in Downtown Durham at One City Center. The after party is anopportunity to further connect if you did attend the conference or get in on the fun if your schedule does not permit.